Check our page about Open Access publishing if you want to know more about journal quality control. 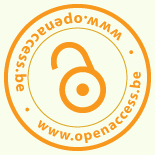 OAPEN (Open Access Publishing in European Networks) is a collaborative initiative to develop and implement a sustainable Open Access publication model for academic books in the Humanities and Social Sciences. The Open Access Directory provides a list of book publishers that use an Open Access publishing model. Kultur. From JISC and other partners. SAHARA (Society of Architectural Historians Architecture Resources Archive). From the Society of Architectural Historians. Classics Research Network. From SSRN. Hprints. All languages. A division of HAL focusing on the humanities. HAL-SHS. All languages. A division of HAL focusing on the humanities and social sciences. Also see the 40+ members of the Open Language Archives Community (OLAC). ACL Anthology. English. “A Digital Archive of Research Papers in Computational Linguistics” from the Association for Computational Linguistics. English & American Literature Research Network. From SSRN. Ethics in Science and Engineering National Clearinghouse (ESENCe). “A digital repository of materials on ethics and the responsible and ethical conduct of research in science and engineering, including the social sciences.” Hosted by the U of Massachusetts Amherst. Philosophy Research Network. From SSRN. PhilPapers. From David Chalmers and David Bourget. PhilSci Archive. All languages. Field: Philosophy of science. From the Center for Philosophy of Science at the University of Pittsburgh. Sammelpunkt. Elektronisch archivierte Theorie. German, English, etc. Opencontext.org helps with publishing archaeological and related datasets.